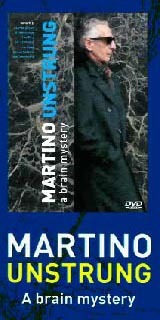 Its title almost sounds like a Martin Scorsese mob movie, but the music on Lello's Italian Job also has a cinematic flair that cannot be denied. Bassist Lello Molinari pays tribute to some of his favorite Italian composers, giving all of their works a sleek jazz makeover. Accompanied by various fellow faculty from the prestigious Berklee College of Music, Molinari introduces American listeners to Italian artists they may never have heard of before; the result is an album both consistently engaging and startlingly educational. "Caravan Petrol" has a Middle Eastern feel, mainly due to Dino Govoni's swirling sax. Mollinari's reptilian bass lines deepen the track's air of mystery as Marcello Pellitteri's riffling drums propel the beat further. "Caravan Petrol" conjures celluloid images, something that happens quite frequently on the album. 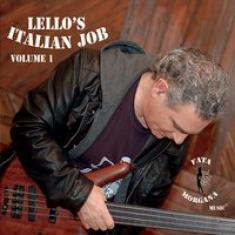 The accessibility of Lello's Italian Job to mainstream jazz listeners is part of its appeal; this could only expand Mollinari's fan base as well as the composers he holds with such affection. "Voce 'e notte" is steeped in romanticism, from Govoni's smooth, sultry saxophone to Sal DiFusco's lovely acoustic guitar. Mollinari's bass adds layers of emotion with its probing grooves. Among the prettiest songs on the record is "Strada 'nfosa," a warm ballad with lush sax, crystal-clear acoustic riffs, and slow, throbbing bass. It redefines elegance.